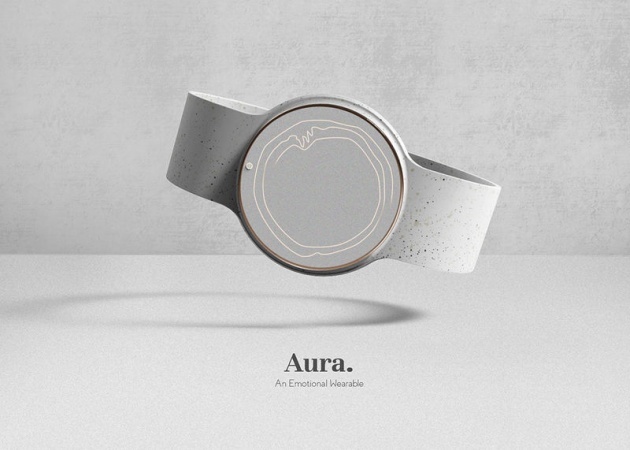 The conceptual 'AURA' wearable has been created to offer users a way to track their mental wellbeing with more accuracy and distinction to ensure they are never left feeling out of sorts for extended periods. The device works by being worn on the wrist and utilizing biometric sensors that will detect sadness, anger, stress and happiness, which will then be detailed on the incorporated display. This enables users to see how they're doing to take time for themselves and even see over the course of time how they've been doing emotionally to see if there are any changes that can be made. The 'AURA' wearable is the design work of Pritika Sekar and identifies the increasing interest amongst consumers for upstream technology accessories that will help them lead a healthier lifestyle.